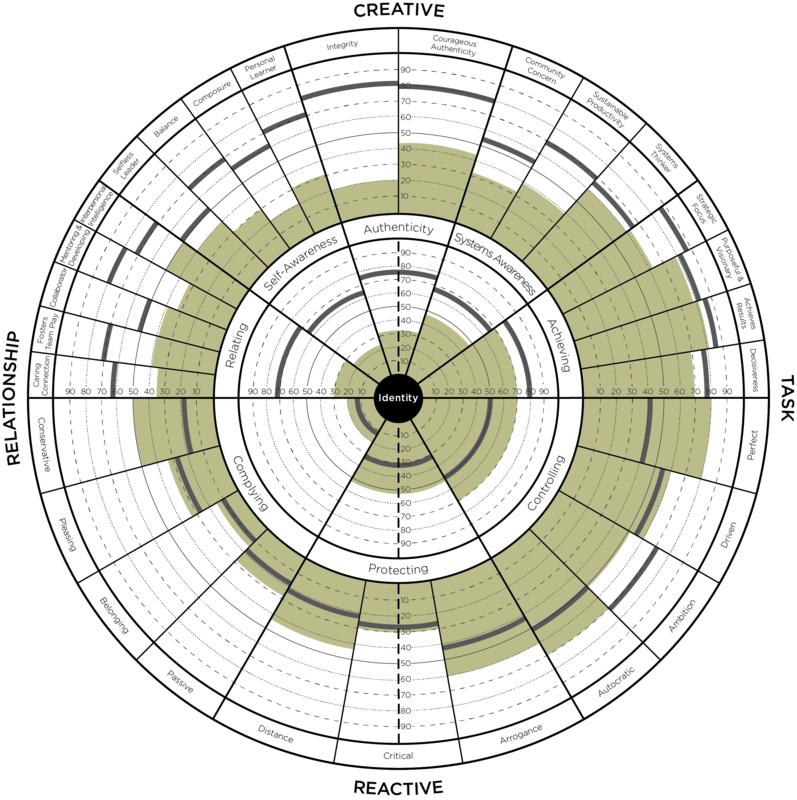 The Leadership Versatility Index (LVI) uses the 360° method of comparing feedback from the “full circle” – superiors, peers, subordinates, and self-perceptions. But that is where the similarity to other 360° tools ends. 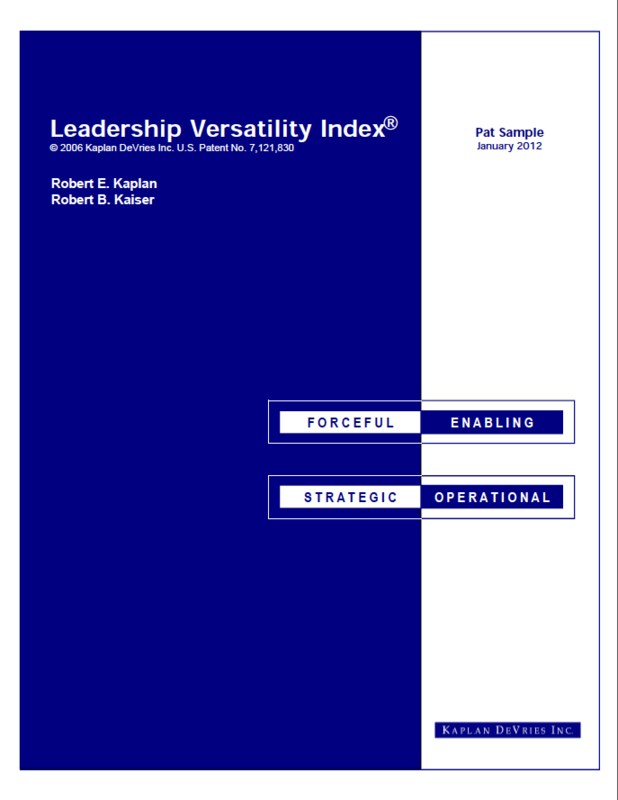 The LVI is a patented solution for improving results through leadership, utilizing a breakthrough rating scale that identified when “strengths become weaknesses” through overuse. Learn more about the LVI. The Leadership Circle Profile is designed to accelerate leadership effectiveness beyond traditional competency-based approaches. The Leadership Circle Profile™ is the only 360 degree competency assessment that simultaneously provides focused competency feedback while revealing the underlying assumptions that are causing a leader’s pattern of strengths and limitations. The Leadership Circle Profile helps leaders understand the relationship between how they habitually think, how they behave, and, more importantly, how all this impacts their current level of leadership effectiveness. Once this awareness is established, leadership development can proceed. Without it, change rarely happens. Learn more about the LCP. 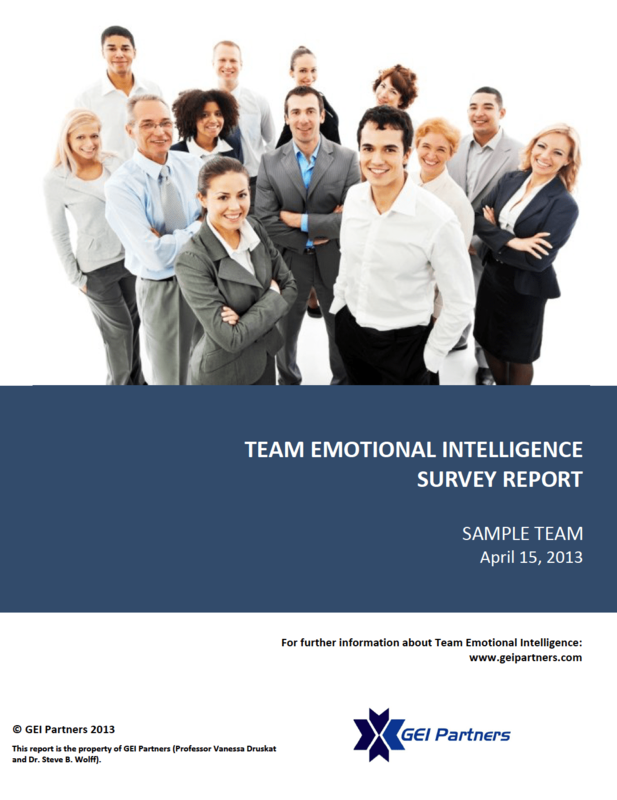 The Team Emotional Intelligence Survey is a tool designed to assess the frequency with which a team exhibits emotionally intelligent team norms. Team Emotional Intelligence is defined as a team culture created by a set of nine norms and expectations that build a productive social and emotional environment (e.g. trust, team identity, team efficacy) that leads to constructive interactions, collaborative work processes and team effectiveness. Norms are socially enforced rules for team member behavior. The Team EI norms are focused at three levels of behavior in the team: Individual member behavior, the behavior of the team as a whole, and externally focused behavior (aimed at stakeholders outside the team). assist with the management of behavior and emotion in the team. Team EI builds emotionally intelligent behavior in a team. Learn more about Team EI. The Emotional Quotient Inventory (EQ-i®) is the first scientifically validated and most widely used Emotional Intelligence assessment in the world. Based on more than 20 years of research worldwide, the EQ-i examines your social and emotional strengths and weaknesses. By identifying the areas that need improvement, you can immediately begin developing those areas. At the same time, areas where you excel can be leveraged to their full potential to maximize effectiveness in daily tasks. 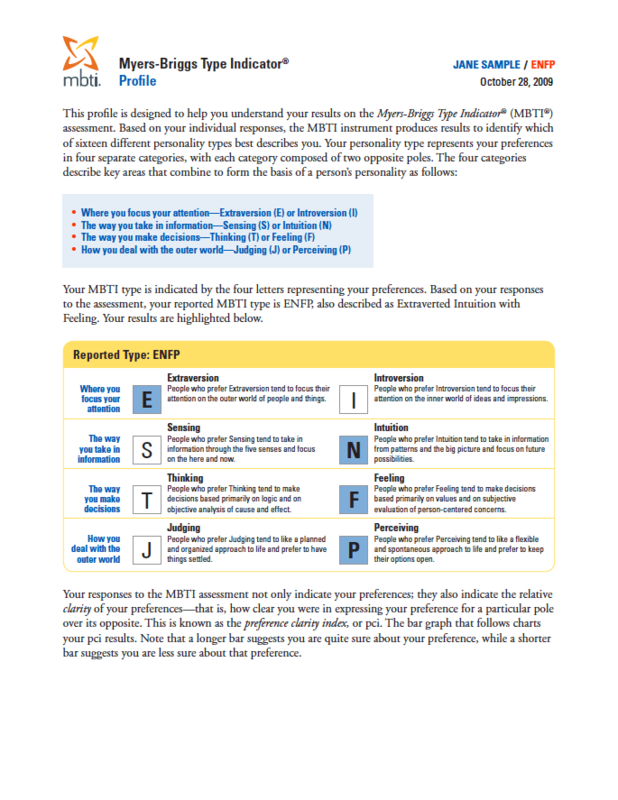 Much more than just a product, the Myers-Briggs® (MBTI®) assessment is a powerfully versatile solution that has helped millions of people around the world better understand themselves and how they interact with others. It has also helped organizations of all sizes address their needs, from team building, leadership and coaching, and conflict management to career development and retention. Learn more about the MBTI®. 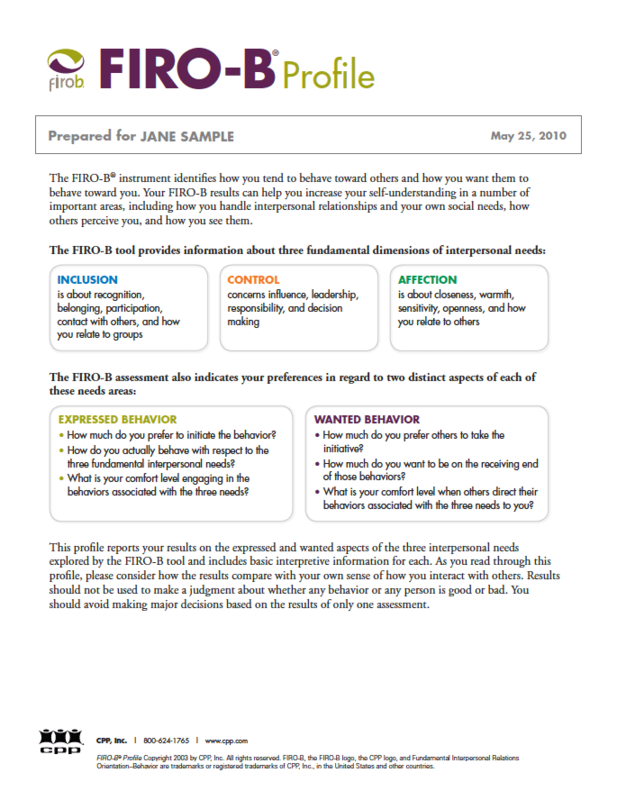 Built on the 50-year history and reliability of the Fundamental Interpersonal Relations OrientationTM (FIRO®) model, the FIRO® assessments help people understand their behavior—and that of others—in interpersonal situations. As an integral part of your leadership and coaching, team-building, and conflict management initiatives, the FIRO-B® and FIRO Business® assessments can be used in a variety of settings and in combination with other solutions to improve organizational performance. Learn more about the FIRO. 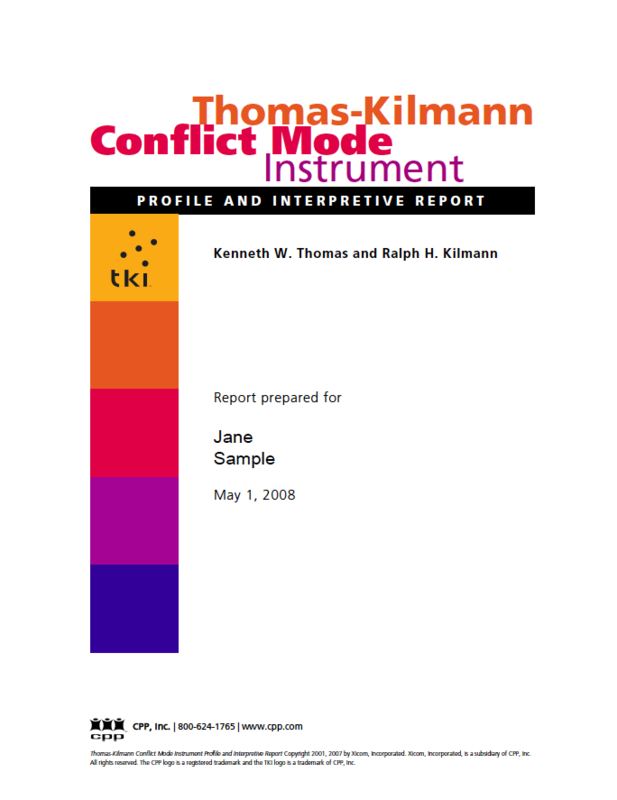 The Thomas-Kilmann Conflict Mode Instrument (TKI) is the world’s best-selling assessment for understanding how different conflict-handling styles affect interpersonal and group dynamics. It’s also a fast and powerful tool that can go beyond conflict management to support your team-building, leadership and coaching, and retention goals. Learn more about the TKI.